I will occasionally do Henna Glosses whenever I remember (I should do them more often because they are awesome!) I tend to do Henna/Amla DC’s but will do a henna gloss when I do not have time to do a full strength henna DC or when I am running low on henna. I have already written about the benefits of Henna and made a video explaining how and why I use it. Gives shine to the hair. Provides a slight tint – (depends on the length of time you leave it on, how much you dilute the henna and how strong your henna is). Can help fight dandruff and scalp irritations (check with your dermatologist first). Leaves the hair feeling less dry/rough versus a full strength henna treatments. Requires less time (the time you leave it on your hair). Requires less henna (due to the additional ingredients you add). 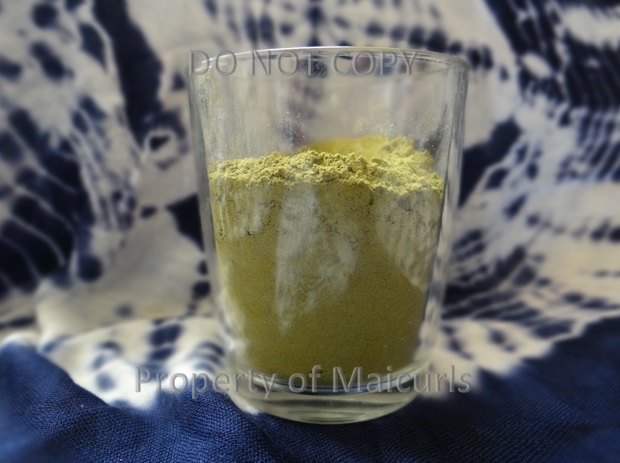 Can be used as a “touch up” to a full strength henna treatment. Again, the options are endless. My personal opinion is that even though a henna gloss is supposed to be “diluted” I still want to be able to get its benefits. It is the lawson or Lawsonia inermis (red/orange dye) that provides the benefits therefore, I choose use a mix that has dye release versus applying the paste right after mixing (before dye release). For my henna glosses I actually use a paste that has already been mixed (from the last time I applied henna) and is stored in my freezer. The intensity of red dye is incredible when I use henna that has been frozen. I let the henna defrost (naturally no heat) and then add my ingredients. If I do not have any mixed, I make my full strength paste, cover it and wait for dye release (I get due release after no less than 4 hours based on my henna powder). I use 50% henna paste and will then add 50% coconut cream or conditioner, a tiny dab of honey, a little oil and apply it to damp hair. I let the henna gloss sit on my hair for 1 hour and then rinse, rinse, rinse. Due to the fact that I add other ingredients, it makes the rinsing much easier and my hair does not feel dry. I do follow up with a Moisturizing DC afterwards just to make sure and that is it! Do you use henna glosses? If so, what is your mix? 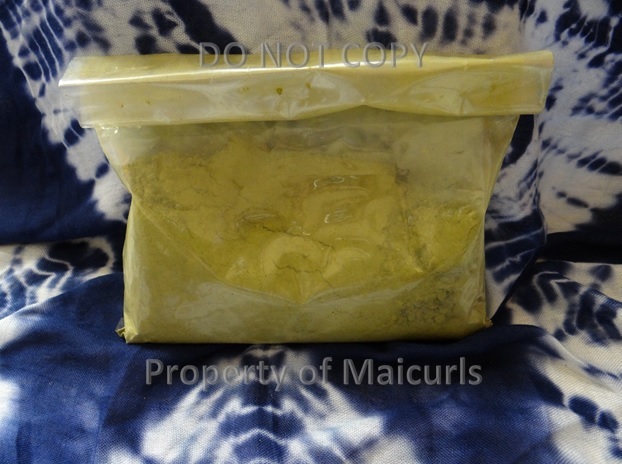 This entry was posted in Ayurvedic Herbs for Hair, DIY Henna Gloss, Henna, Henna Gloss and tagged Ayurvedic Herbs, Ayurvedic herbs for hair, DIY Henna Gloss, Henna for hair, Henna for natural hair, Henna Gloss, Henna head on October 19, 2014 by Maicurls. How often do you do a Henna gloss? Can doing a Henna gloss monthly damage the hair?